No problems at all, especially not regarding the perfect on time delivery. 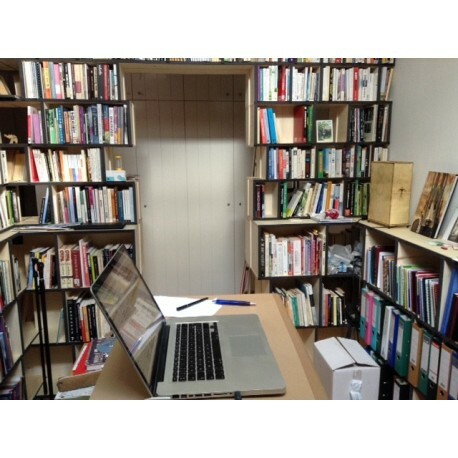 The only remark from a friend is that the cross section of the horizontal shelves is not black. We are very happy with the end result. The finish is of high quality. 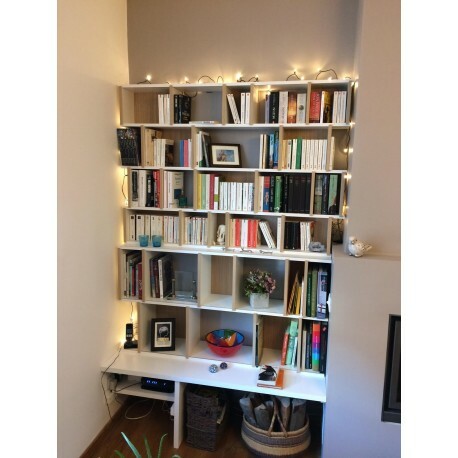 We appreciated the excellent follow-up of our order, especially since we asked specific measures for our functional bookshelf. 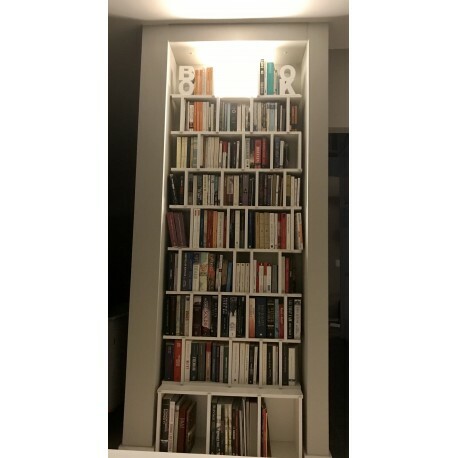 The bookshelf is perfect, as its name unveils. 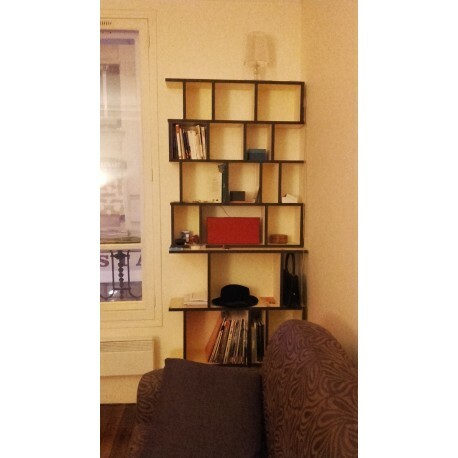 Very easy and quick to assemble (even easier than Ikea furniture ;). 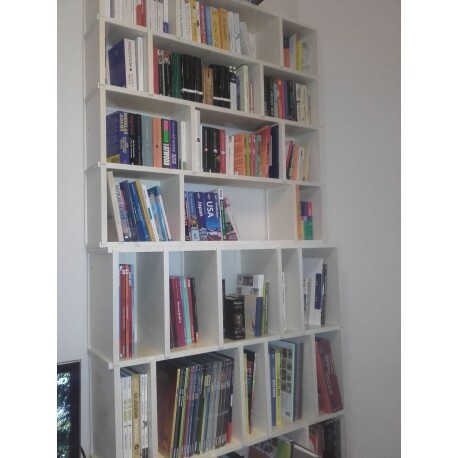 Moreover, I can assemble and disassemble the bookshelf multiple times in order to find the best composition, without having to unscrew-screw-unscrew-screw …). 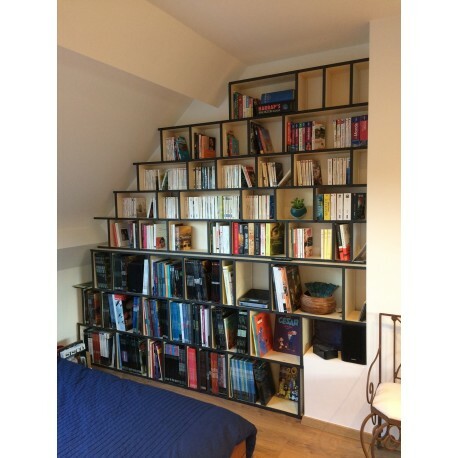 The bookshelf meets all my ‘made to measure’-expectations. 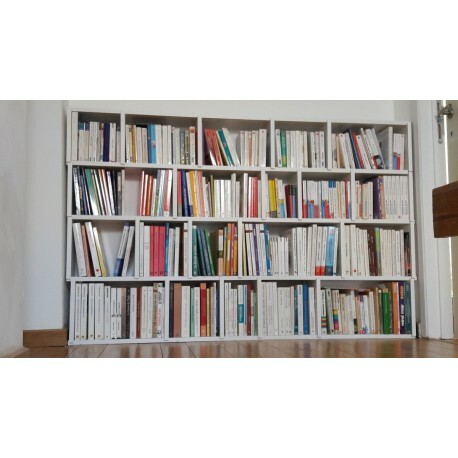 I hesitated between the white and the natural finish, so the white shelves with natural rim please me a lot. I am also totally satisfied with the answers to all my questions prior to ordering and with the follow up until delivery. 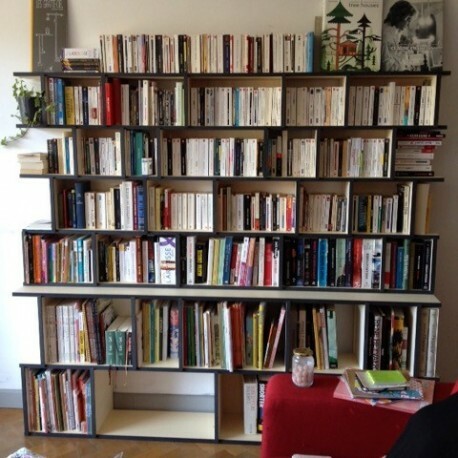 We are very happy with the easy to assemble bookshelf. It took a little while to find the best position of the components, but it is perfect now. Thank you for the attention you pay to your customers. First of all, I would like to let you know that I find the buying process simple, efficient and very clear. At the phase ‘try and buy’ I found the multiple options very reassuring. This allowed me to choose the sizes of the shelves as I wanted. What made me decide to buy, is the possibility to play with different heights and depths. Regarding the delivery I appreciated that I was able to choose the delivery day, that was very convenient. The timing was right. 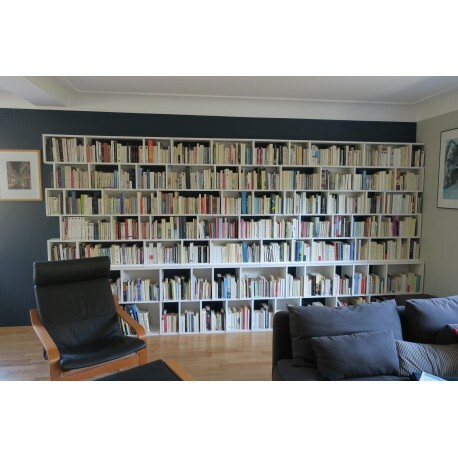 I am sending you a picture of my bookshelf. I assembled it very easily myself, without a man! I am very satisfied with my purchase that already made some people jealous! Kind regards. 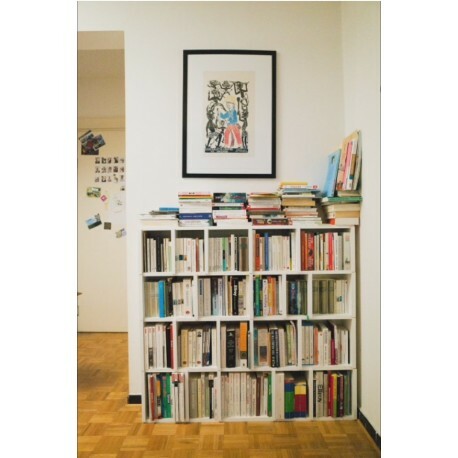 I assembled my bookshelf this weekend and I am particularly happy with it. I assembled it easily (with the help of 2 friends) in less than 1,5 hours. I am particularly pleased with the result and wish to thank you. 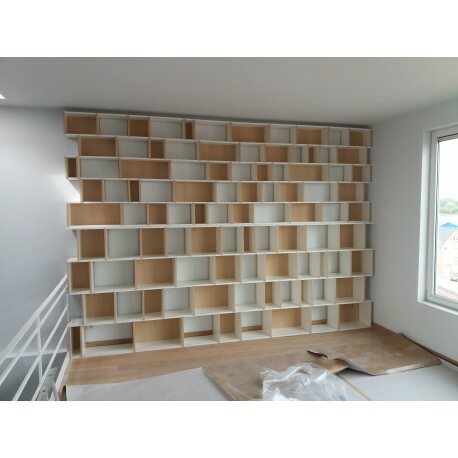 I have no remarks regarding the buying process of the perfect bookshelf and appreciate the professionalism from beginning to end, including the help with the delivery to the 2nd floor. I am overjoyed with this bookshelf. It totally corresponds with what I expected, but I am surprised that I almost filled it completely :) . Thank you again for this more-than-just-a-piece-of-furniture that amazes everyone who walks past it and that brings me so much pleasure each time I look at it. 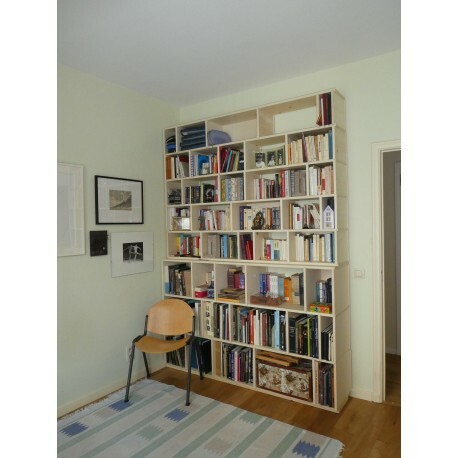 We are very pleased with the design of the bookshelf and the assembly was incredibly simple. I also appreciate the ‘readymade – made to measure’-aspect and your capacity to adapt the order according to specific requirements. 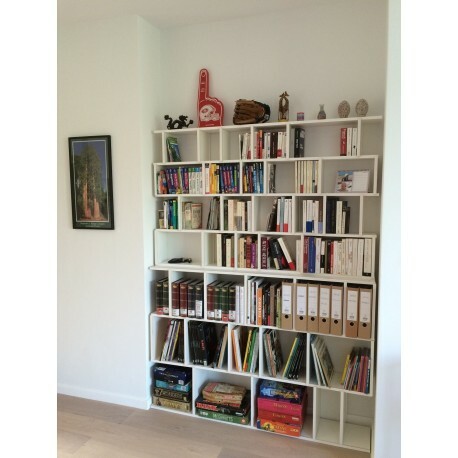 I am really very happy with the bookshelf. 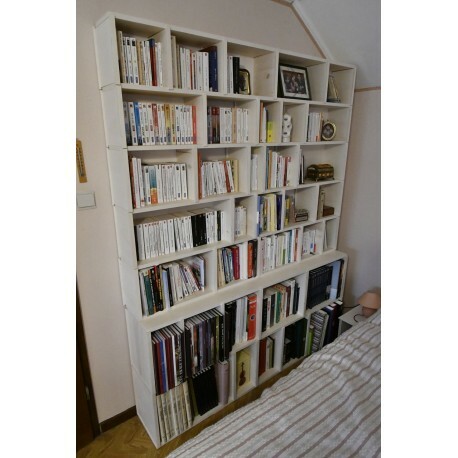 It is beautiful, practical and very easy to assemble. I didn’t expect the packages to be so small upon delivery, but that was just perfect as we live on the 3rd floor of a house without elevator. 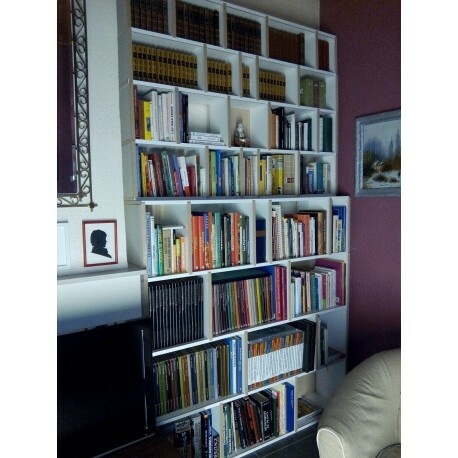 I am very pleased with the bookshelf; I was able to assemble it on my own in 10 minutes time. I am also satisfied with the delivery time and conditions. 1) Unpack 2) Assemble 3) Put in place Job done! Thank you! 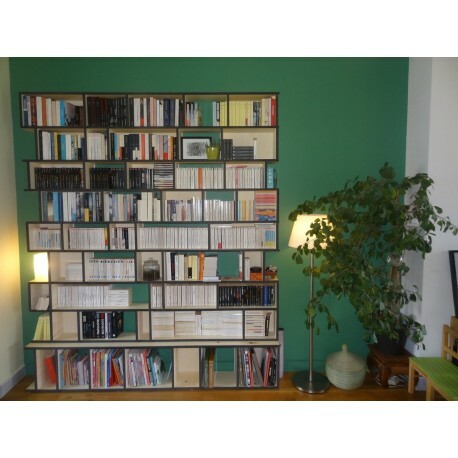 We are delighted with our bookcase; it is a beautiful, well-designed product with none of the hassles usually experienced during assembly. It has been well thought out and is exactly as described. And Belgian! 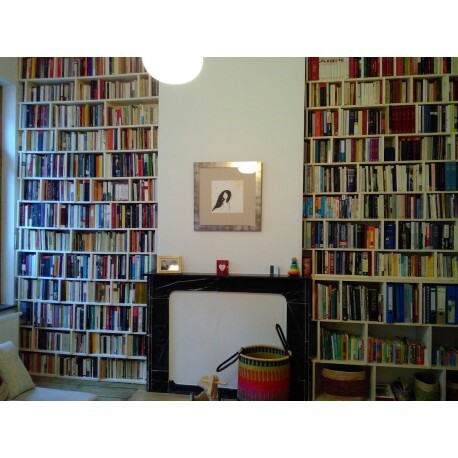 No regrets in our our choice of bookcase! 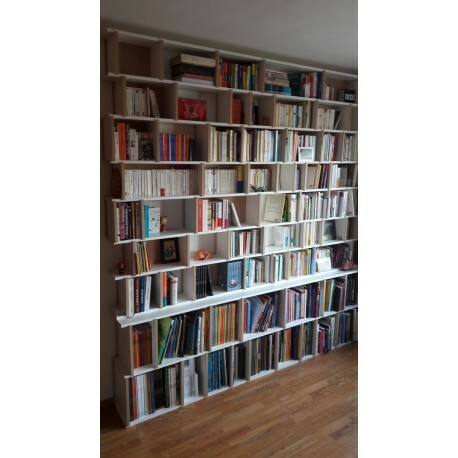 The Perfect Bookshelf offers tailor-made solutions with super-easy assembly which give perfect results. 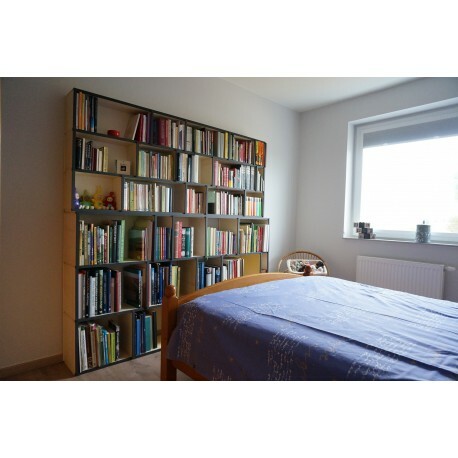 The piece of furniture is beautiful and delicate, showcasing the room itself as much as the books and other objects placed on it. The team is responsive, offering sound advice from the order process to small "tweaks" that might be needed after purchase. And they are nice people as well. 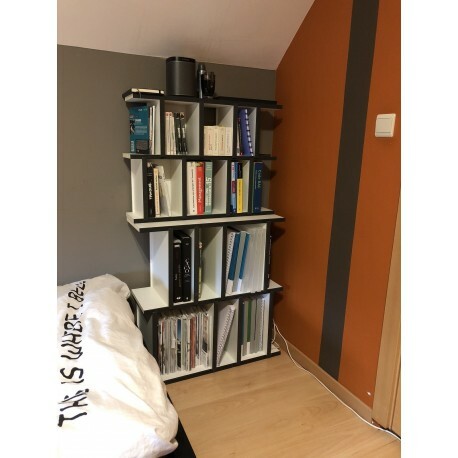 I love my shelf, it is very practical and very pretty. Nothing to say, I'm a fan. 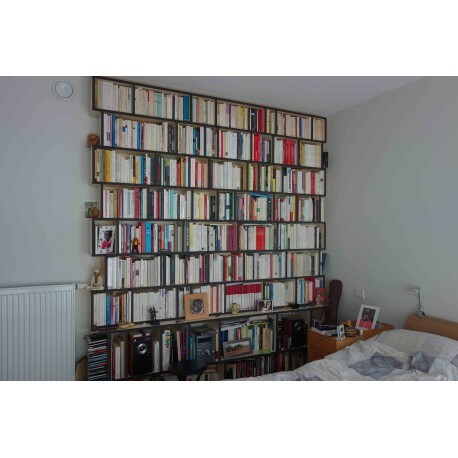 The shelves I ordered suit my my small apartment perfectly (see attached photo) and look very nice too. You answered all my questions to my satisfaction, which made it much easier for me to place the order. The delivery arrived precisely on time. 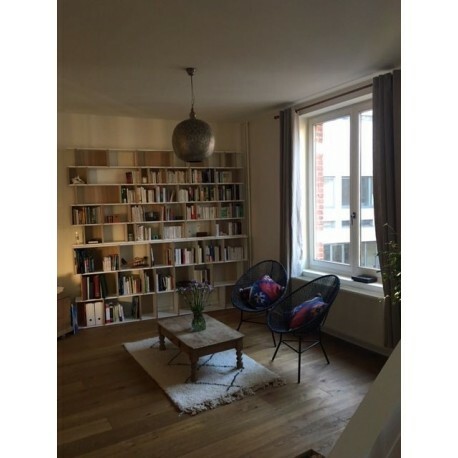 The assembly is very straightforward and easily accomplished by your average customer with little DIY expertise. 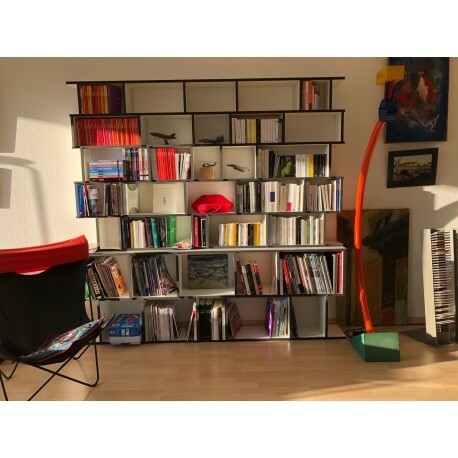 The shelves are easy to carry because they are small and innovative. My overall verdict is definitely positive. I am very satisfied with my purchase. No special comments. I made the short animation which is attached for your interest. I am pretty happy with the product and the excellent technical support. Thank you very much. We are absolutely delighted! 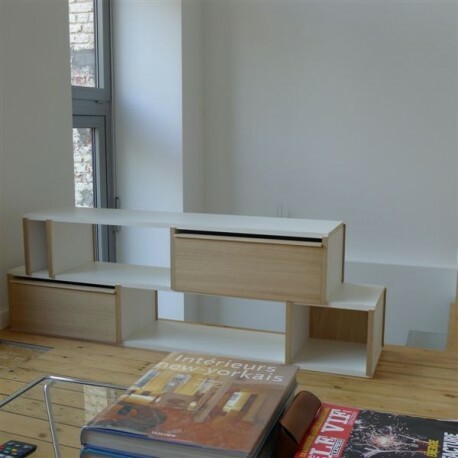 Easy to assemble, offering several choices of layout. Thank you for your professionalism both in terms of the ordering process and the quality of the material. 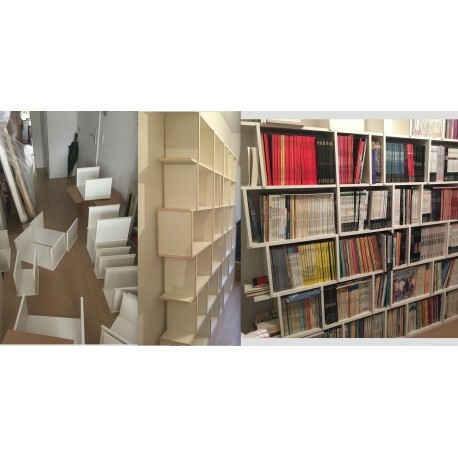 Our experience with The Perfect Bookshelf from start to finish has been extremely positive: your site is well designed, rapid response times are much appreciated; order tracking including delivery contacts, delivery itself and assembly instructions all ensure a great customer experience. This email allows me the opportunity to thank you all for your kindness and professionalism.